Our Round Rock, TX dental office has an amazing team in place to meet all your dental health needs. Learn a little bit more about the smiling faces you’ll see on your visit to Jovan Prosthodontics. Michaella has been in the dental field since 2000. Her background is in oral surgery and endodontics but has succeeded in learning all aspects of prosthodontics. We are happy she became our team leader and scheduling coordinator in 2017. Michaella’s fun energy affects not only her fellow co-workers but also everyone who visits our office. 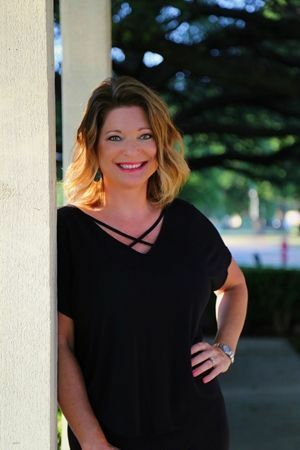 She works hard to accommodate our patient’s scheduling needs and is often the first person to greet you with a smile when you call or visit our office. Michaella not only keeps our schedule flowing, she also keeps our office running smoothly and efficiently, which means better care for our patients. She loves to help plan our office and team building events and is good at handling our marketing. When Michaella leaves work, she loves to have fun. This starts with quality time with her husband Aaron and their kids, Kellsie and Micah. She also enjoys trying new restaurants and wineries, shopping and getting together with family and friends. Brandy is a registered dental assistant and has been in the dental field since 2005. 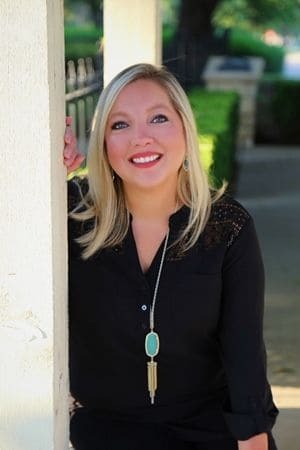 Her RDA license along with a surgical and healthcare administrative background gives her the knowledge and experience to be a master at schedule coordination, treatment planning and maintaining excellent patient relationships. She is great to sit and talk with and have a good laugh from time to time. Besides getting to know and care for each patient, her favorite part about working for Dr. Ace and Jovan Prosthodontics is how the whole team truly gets involved in treating each patient. It’s rewarding for Brandy to see the changes each team member makes in transforming their patients’ smiles. In her free time, this grandma loves working out, glamping and traveling the world with her husband Jeff. They also enjoy a fun date night on the town so you might see them out in the area supporting local businesses. Since 1997 Melanie has been helping patients restore their smiles. 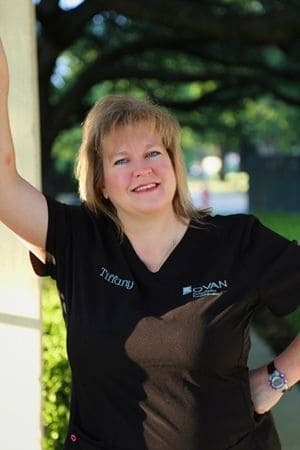 She is a Certified Dental Assistant and Registered Dental Assistant in the state of Texas. She also has passed the Dental Anesthesia Assistant National Certification Examination and has phlebotomy training. Melanie started working with Dr. Ace in 2010 and loves the challenges of prosthodontics because she knows she is helping people make life-changing transformations. She finds her job rewarding, and that shines through in the personal care and attention she gives to all her patients. Our patient’s appreciate the kindness they receive when Melanie is assisting in their procedures. When she isn’t working, Melanie enjoys spending time with her family. There’s a good chance you can find her at a ball field or one of her kids’ activities. 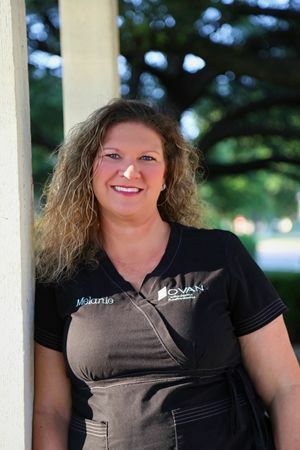 We are very fortunate to have Tiffany here at Jovan Prosthodontics. Her passion for dentistry has been ignited since childhood having worked as an assistant in a dental practice when she was in high school. She went on to become a Dental Laboratory Technician in 1992. With over thirty years of experience, she still has the same passion. Tiffany continues to be dedicated towards state-of-the- art advancements in dental technology and loves working in our very own in-house lab. She dedicates so much time into each patient’s case to make sure they receive the highest quality dental prosthetic. Tiffany keeps plenty busy out side of the office too. She and her husband, Chuck, just moved to Taylor where they love to work on vintage cars together. Tiffany enjoys teaching Sunday school and volunteering with her son’s Boy Scout Troop. She also is always joking around with her three daughters and tries to see her granddaughter every chance she gets.